Special profiled mold structure design and material formula,different production processes such as super-thin,built-in cloth,.It can be applicated for motor seal which demand shock absorber,reduce noise,buffer,resistance pressure and so on. 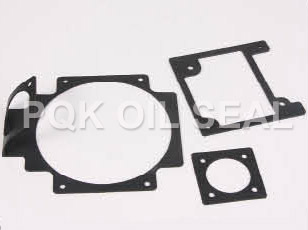 Zhejiang Shangyu Oil Seal Co.,Ltd is a leading China motor seal gasket manufacturer and supplier, our motor seal gasket factory can provide customoers cheap motor seal gasket products. Welcome to buy discount motor seal gasket or wholesale products from us.